Our Policeman Mad Cap stress ball wears his cap proudly. 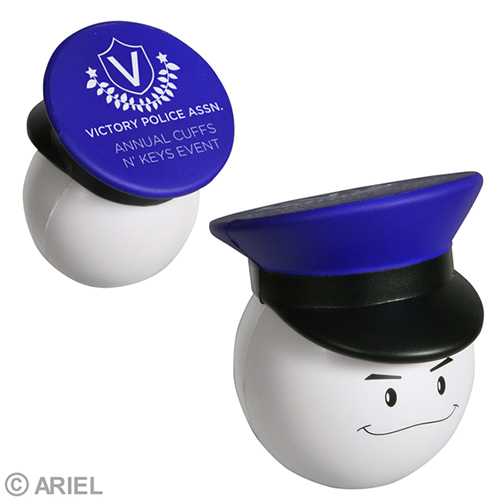 You can custom imprint a policeman mad cap stress reliever with a message or clever phrase. These policeman mad cap stress balls are great promotions to hand out at school safety programs, community forums and wherever brave men in blue need to release some stress. Item Size : 2" dia. x 2-3/4"